Where are the serial and model numbers located on my vehicle? How can I contact my chassis manufacturer for chassis-specific issues? What is Winnebago's web address? How can I get a hold of Winnebago Industries' Owner Relations Department? How do I buy from a dealer in Iowa when I live in another state? Isn't that complicated? 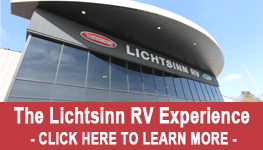 How do you pronounce the "Lichtsinn" in Lichtsinn RV? 1. Where are the serial and model numbers located on my vehicle? They are listed on a tag located in or near the driver's compartment. For specifics on where to find the information on the tag CLICK HERE. 2. How can I contact my chassis manufacturer for chassis-specific issues? 3. What is Winnebago's web address? 4. How can I get a hold of Winnebago Industries' Owner Relations Department? 5. How do I buy from a dealer in Iowa when I live in another state? Isn't that complicated? At Lichtsinn RV, we sell vehicles to customers across the country, and even throughout the world. We offer our customers extremely competitive prices which affords them the ability to travel to us, while still maintaining total cost below many other dealers. We pride ourselves in making the sales process as simple and smooth as possible. Location: We are conveniently located approx. two hours from both the Des Moines International Airport and the Minneapolis/St. Paul International Airport. Customers can either rent a car to drive to Forest City or we offer a shuttle service for a nominal fee. We are 30 minutes from the Mason City, Iowa, airport. Our customers that arrive into the Mason City Airport will receive complimentary shuttle service during our regular business hours. Titling and Registration: We do not collect any tax or license fees for out-of-state residents. When you come to pick up your motorhome we will provide you with all of the necessary documents to bring to your hometown vehicle registration office. You will pay all tax and license fees in your state of residence. We will issue you a temporary license plate so you may drive home in your new motorhome. Many of our customers decide to stay for a couple of days. 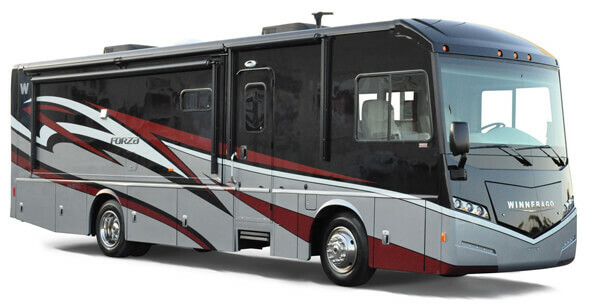 Once here, we will provide you with a full orientation of your motorhome. We will take this time, and more, to answer any questions you might have. Many of our customers, while here, take a tour of the Winnebago Factory, the primary employer in Forest City. Upon request, we happily arrange factory tours for our customers. Forest City has several hotels, restaurants and recreational options. We have many local campgrounds, including Pilot Knob State Park, where you can stay overnight in your new motorhome. We do have short-term electrical hookups at the dealership for customers as well. Our goal is to make your buying experience clear and simple. We want you to enjoy your stay here in Forest City, our home, and more importantly prepare you for many years of enjoyment in your new motorhome. 6. How do you pronounce the "Lichtsinn" in Lichtsinn RV? This is the most frequent question we are asked. The correct pronunciation is LIT-SEN (yes, the C and H are silent).